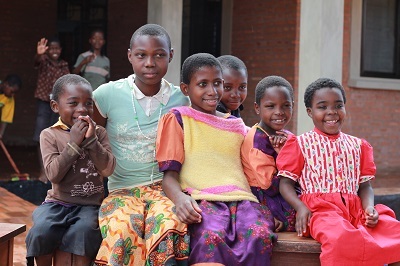 In Tanzania 1.6 million people have Aids and 1.3 million children have been orphaned by the Aids crisis in Tanzania alone. For many children without the Sisters help they would be out in the world alone with no one to care for them. Sr. Fromunda saw the need for an orphanage when parents began dying and leaving their children behind with no one to care for them. Sr. Fromunda started the orphanage many years ago when children were losing their parents to leprosy. Sr. Fromunda’s crisis then began to change when HIV/Aids came onto the scene in a rapid manner. Children were losing their parents in large numbers due to the illness. 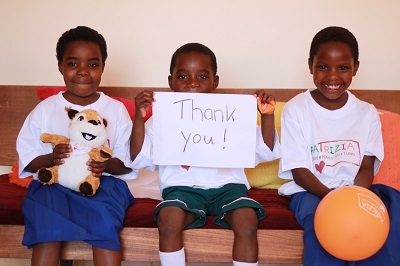 The orphanage began to grow rapidly as more and more children lost their parents to HIV/Aids. At one time Sr. Fromunda had 130 children being taken care of by the Sisters. With the help of generous German benefactors the Sisters were able to care for the children and save money for future expenses. As the years have gone on the number of children taken in has declined only slightly. Currently the Sisters care for 80 children. On average the Sisters have 20 infants in the nursery at all times. Many have lost their mothers and have families that cannot take care of them. With the cold temperatures in Tanzania, the babies would not survive without someone there to care for them. Some children do not have families at all. The children that do have families, their relatives are encouraged to come and visit and build a relationship with the child. When their families are able they then can take them home to raise them. For two young people the Benedictine Sisters are the family they never had. Having stayed with the Sisters in the orphanage from birth, both have been blessed to find the love and care they needed. For Blessing Benedict she was found abandoned on the side of the Road with no family. The Sisters took her in and adopted her. When legalizing her paperwork they asked her what she would like her last name to be. Proudly she told them, “Benedict! I belong to the family of the Benedictine Sisters.” In Latin Benedict means blessed. For Marko Kapinga giving back to the Sisters who gave him so much is important. Marko and his siblings have lived at the orphanage since birth. Their parents were lepers. Marko did exceptionally well in school and was given the opportunity to go to Catholic University by Sr. Fromunda. He became a teacher and is now back at the orphanage teaching the children. His youngest sister is still there today. The houses where the children were living and being taken care of were beginning to be dilapidated from the years of use. 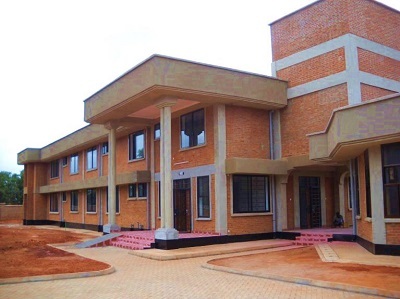 The Sisters then decided to start the process of building a new orphanage in Mjimwema. 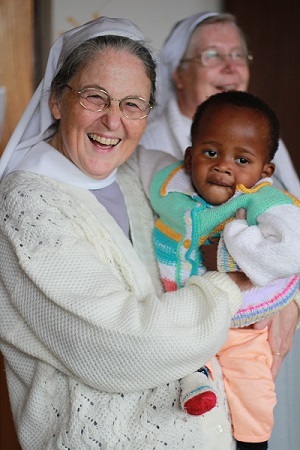 With the guidance of Sr. Pia Portmann and Sr. Rosann Ocken the Orphanage was finished in May and open to the children. With the family style setting in the new homes, the children are learning skills they will need for future families or lives of their own. With the help of some generous benefactors the Sisters were able to raise the money to cover the cost of construction for the homes of the children and a new convent for the Sisters. The Sisters have the responsibility of covering every aspect of cost of living for the orphans. The cost to cover room and board is $1 per child per day. That is $80 a day for just room and board, and does not include healthcare, education and other expenses. The costs are not like those in the United States, but still are extremely high for the area of Tanzania. With the slow decline of German Benefactors and the increase in cost of living, the expenses to run the orphanage are skyrocketing. The Sisters have been able to manage with the reserves Sr. Fromunda had saved, but soon those savings will run out. The Sisters depend on the help of others to keep the Orphanage and Convent going strong.